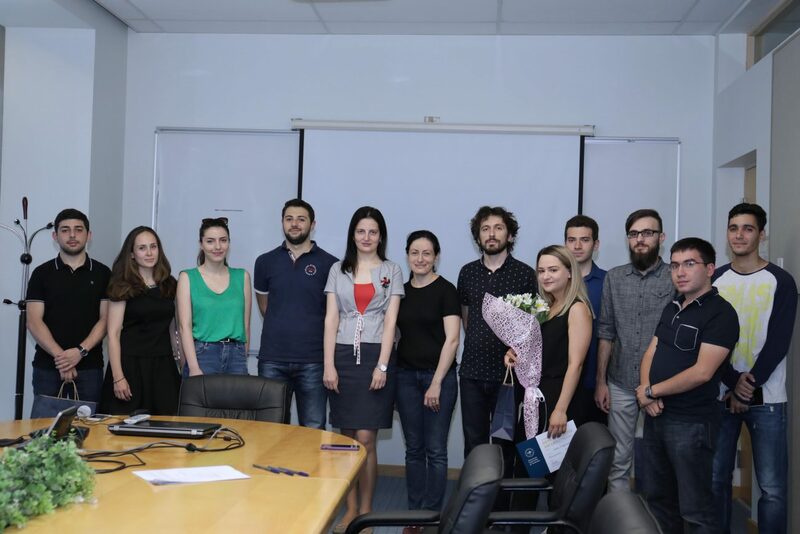 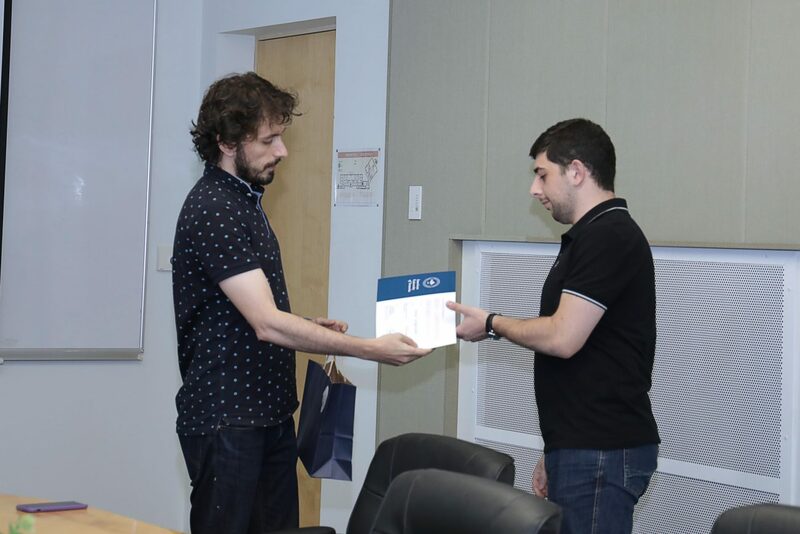 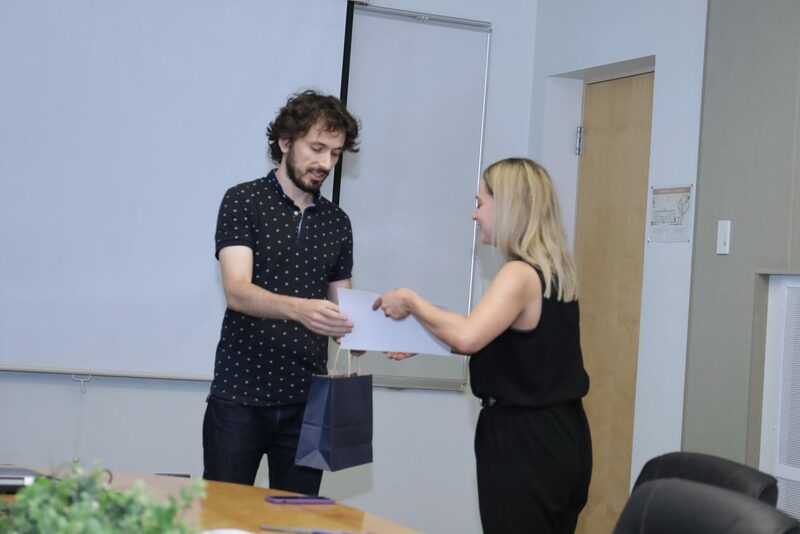 YEREVAN, Armenia ‒ On June 13, 2018, outstanding students in the BA in Business (BAB) program of the Manoogian Simone College of Business and Economics (CBE) of the American University of Armenia (AUA) received awards for their Honors Thesis projects 2018. 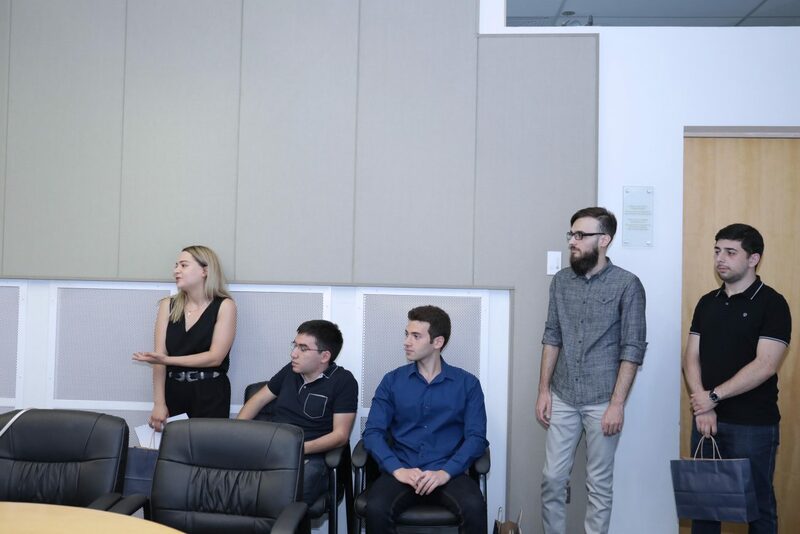 This scholarly research project provides students with an opportunity to synthesize data into a meaningful content applying theories and frameworks acquired in their program to an analysis of a specific business or economics related issue or problem. 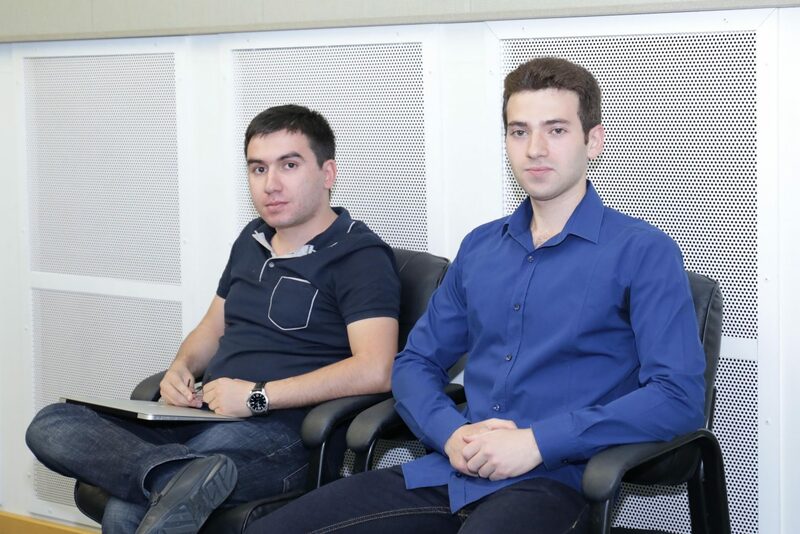 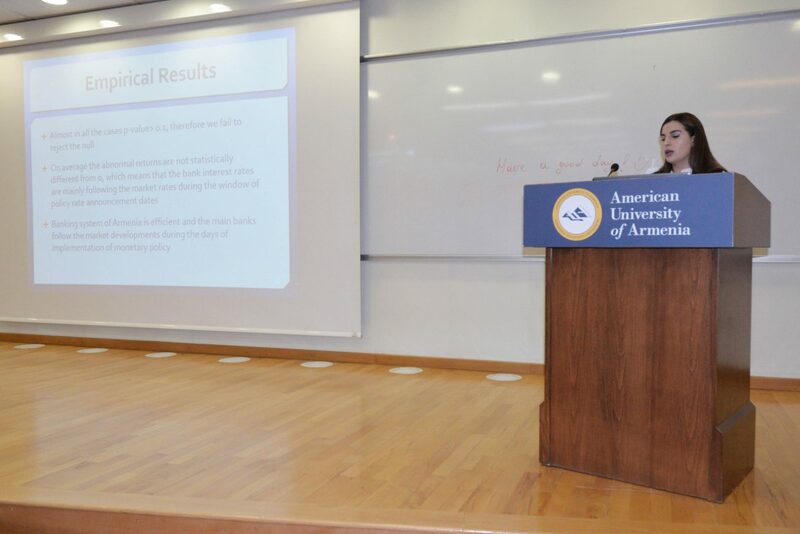 This year BAB Thesis projects coming from different disciplines were supervised by three CBE faculty members ‒ Dr. Knar Khachatryan, Dr. Vardan Baghdasaryan, and Dr. Gayane Barseghyan, who highlighted the importance of culminating projects which demonstrate how students have been using information as a tool for transformation in their academic and professional lives. 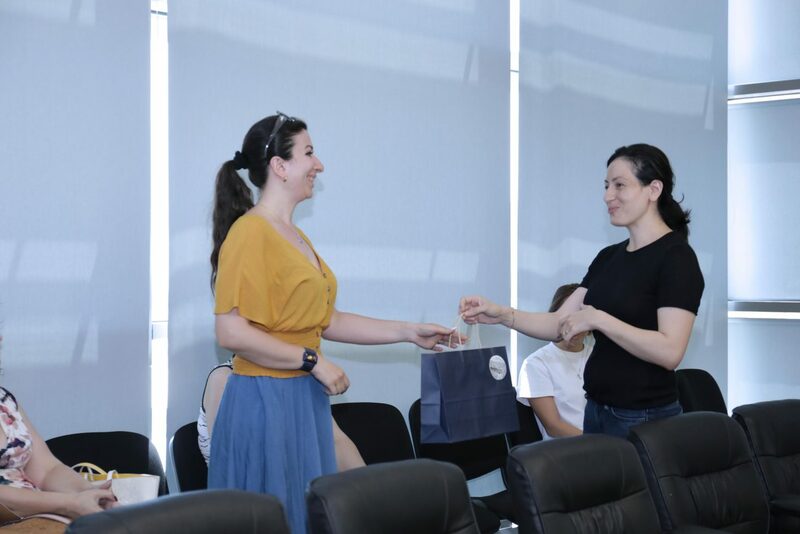 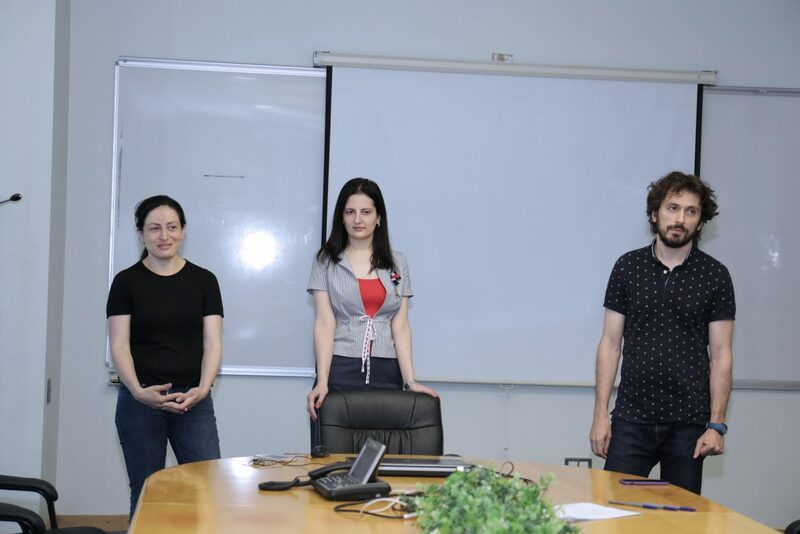 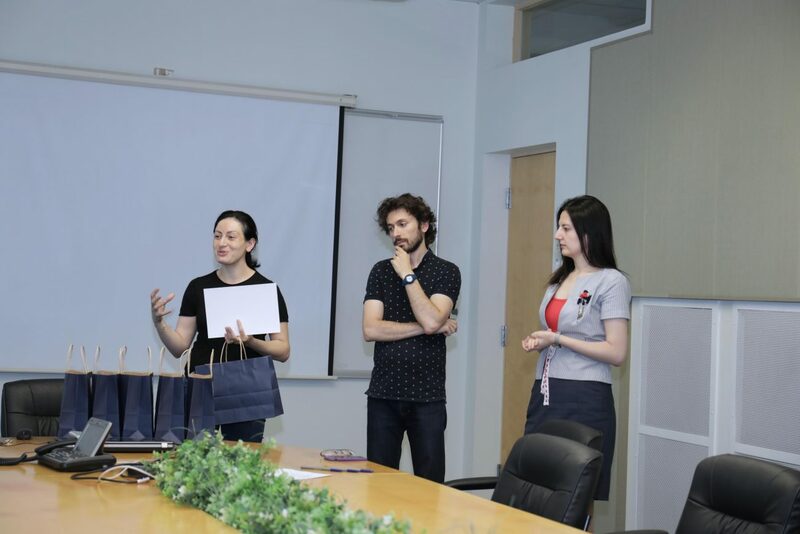 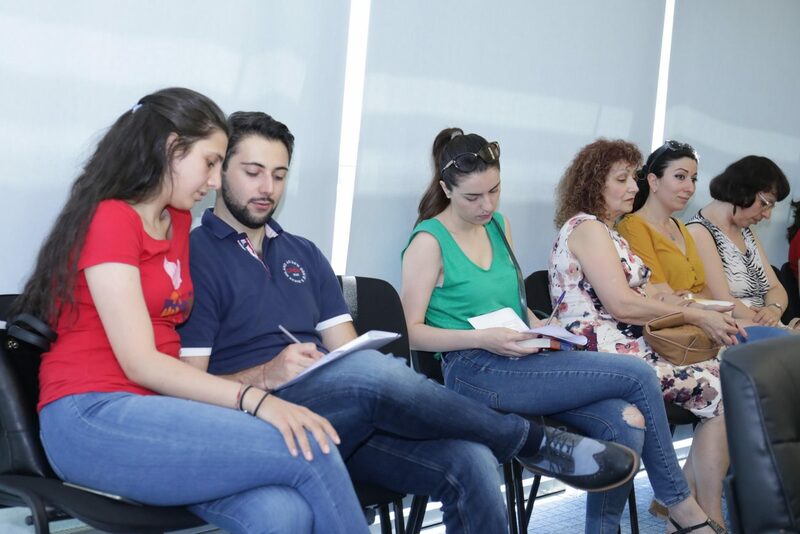 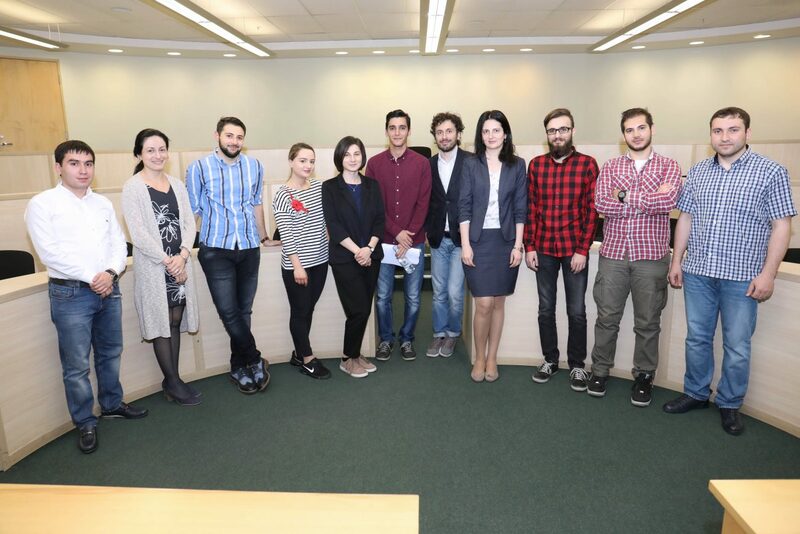 “Hopefully, the research ideas will be taken further to be explored in Master’s and PhD studies,” added Dr. Khachatryan, emphasizing the value of mutual learning during Capstone projects. 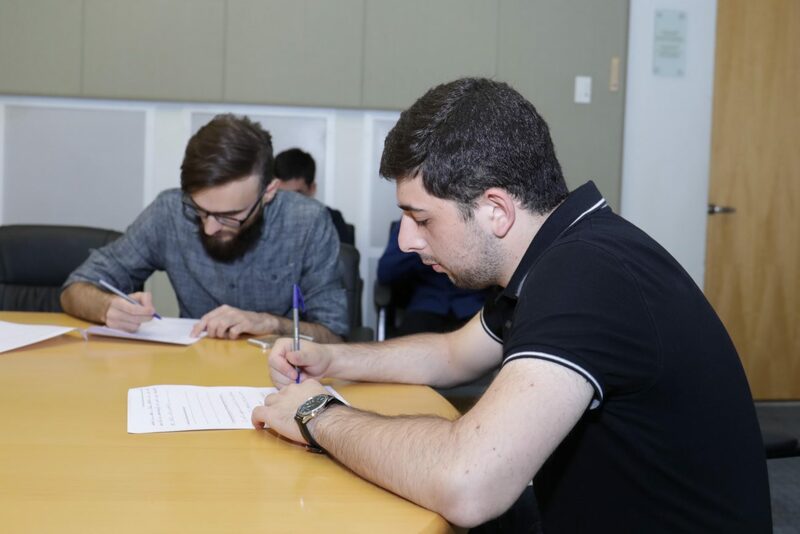 BAB Capstone’s Honors Thesis, which goes through a second reader blind review, is meant to demonstrate the students’ analytic and interpretive skills. 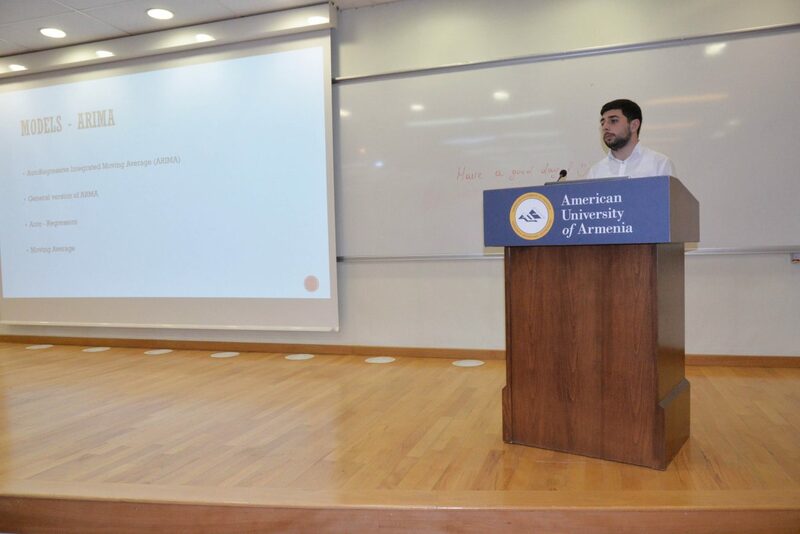 It should have a substantial research, data collection, analysis component and a focus that falls within the scope of the academic track. 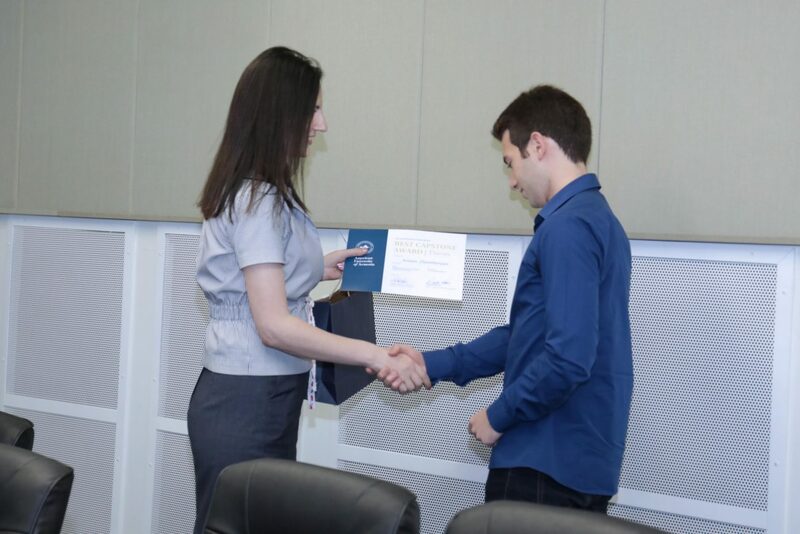 The Capstone award is given annually to students who present the best and the most original Capstone paper.